Just on the edge of Sligo town, the Sligo Park Hotel is a landmark for visitors and locals in the Northwest. The Hazelwood Restaurant serves sumptuous food from the local area while the Rathanna Bar and Terrace is a place to relax with a drink or eat more informally. Relaxing lounge areas are set against a backdrop of landscaped gardens and mature trees. Travelling from the East, West and South: Take the N4 approach road to Sligo. Take the first exit marked â€˜Carrowroe and R287. Take the second exit off the roundabout for Sligo (R287). Take the first exit off the next roundabout at Sligo Retail Park (R287). The hotel is situated 200 metres ahead on the right. Travelling from the North: Take the N4 road towards Dublin. Take the exit marked â€˜Carrowroe and R287. Take the first exit off the roundabout for Sligo (R287). Take the first exit off the next roundabout at Sligo Retail Park (R287). The hotel is situated 200 metres ahead on the right. Sligo City truly is the Land of Heart's Desire, with some of the most scenic countryside in Ireland ranging from the majestic Benbulben to the gentle waters of Lough Gill. Sligo is home to one of Ireland's most famous sons, W.B. Yeats and if you are familiar with any of his writings about Sligo, you already know of its beautiful hills, streams, lake-lapped valleys, wide bays and golden beaches. Excellent hotel, Stayed here several times, staff very polite friendly and professional. Hotel very modern clean, quiet and relaxing and bedrooms beautiful. Would recommend. We arrived on a Thursday on a beautiful sunny day in late October. We were only staying one night, but the staff of the hotel were fantastic. Everyone from reception to housekeeping were so pleasant, friendly and helpful. We had dinner in the Bar, and the food was very good. The breakfast the following morning was a buffet breakfast, with everything you could want in a breakfast. Lots of choice - fresh fruit of all kinds, yogurt, full cooked breakfast, with juices and fresh coffee. The rooms were very nicely painted and fresh looking. The bathroom was very clean, but there was no shower-cap, and the shampoo/body wash was not great. It would have been a nice touch if bathrobe and slippers were provided too. All in all a very pleasant stay, and great value for money. We had a lovely time, and would definitely recommend the Hotel to family and friends. This hotel was excellent. Clean, spacious and comfortable. Breakfast was all anyone could ask for. I booked for one night only as I was travelling up to Dublin for the day. But decided to stay again on my return from Dublin and was not disappointed. Would highly recommend it for either business or pleasure. We had a very pleasant stay in the Sligo Park Hotel. Room was very comfortable & satisfied all our needs. The breakfast buffet had a great choice & food was very tasty. I would recommend the hotel to other friends. I rate it with 4 stars! Nice, clean comfortable hotel in a good location if travelling by car. A bit of a trek into the town so a car definitely required. I would query the 4 star rating as the room decor is a wee bit shabby. Having said that the rooms are spacious and comfortable. The breakfast was very good with a good choice of cooked food and the continental selection. We didn't eat in the restaurant on this trip but the hotel was very busy on both nights of our stay with Christmas party nights so I would take that as a good sign fro the quality of food etc. We were greeted by Lisa on reception who was lovely. She seemed genuinely interested in us being there and could not have been more enthusiastic or encouraging about our stay in Sligo. We met her then on checkout and again her natural friendliness and personal interest in how we had enjoyed our stay was a nice touch. Overall, a good hotel and we would stay here again. Lovely hotel with a panoramic view of the mountains and the sea. The lobby is very comfortable with lots of sofas and a big fire. We ate in the bar where the food was very good. The staff are exceptional, from reception to housekeeping, every request was met with a smile. I would definitely recommend it and will return. Excellent hotel, with a great swimming pool, very friendly staff, food is very good, especially the breakfast and in a great location, just outside the town next to McDonalds. We had a lovely night. Staff at reception were very helpful. MANY THANKS TO ALL STAFF ,MYSELF AND MY WIFE HAS A GREAT STAY SUNDAY.ENJOYED THE SUSAN MC CANN SHOW.ENJOYED THAT CAKE, IT WAS GREAT TO MEET THAT OTHER WONDERFUL LADY THE ONE AND ONLY MURIEL DAY AND BOY CAN SHE SIGN A TUNE. FROM JOE ,KATHLEEN. MULLINGAR. WE WILL BE BACK. hotel needs updating grout round the bath was black, plug hole was a scummy green. could have copped with that but when we arrived the room was freezing. could not find a clean table to sit at for breakfast. The staff are not very polite they all need a good kick up the backside. 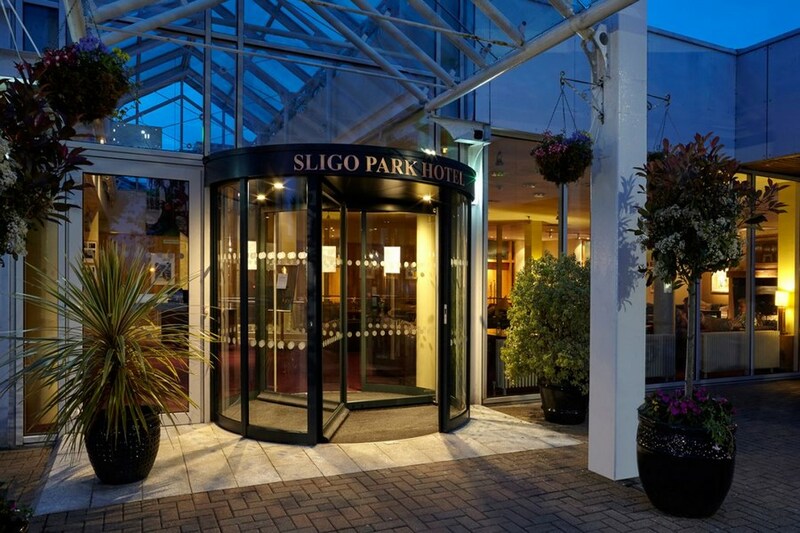 My husband booked 1 night b &b 27th june at sligo park hotel. This was an excellent hotel, comfortable room, good service from staff, entertainment and a great breakfast. However we didnt have time to check out pool, sauna and gym.Perhaps next time. We had a lovely stay at the Sligo Park Hotel. Staff very friendly and couldn't do enough for you, especially at reception and leisure reception. Gave us lovely routes to take sight seeing. Plenty to do with the kids. Food was lovely at hotel but I did think the bar menu was a bit pricey. Rooms clean but bedside lockers a bit tatty and lets the room down. Overall had a pleasant stay and would go back. Caroline, Co. Kildare. A very popular hotel with a great atmosphere. We had a great stay. Lovely hotel, very friendly staff, great food and very comfortable. Just wish they had offers going for the spa like massages etc when you were a resident there. Very friendly staff. Great facilities. Comfortable bedroom. Nice food and bar. Toys on hand for the kids a great touch !! Will be back. Stayed one night with family nice hotel, staff were helpful and friendly, great lobby to sit and have a drink if bar not your thing. Nice touch free dvd's and player at reception to keep the kids entertained in your room, breakfast was ok, pitty they dnt do semi-skimmed milk. Hotel close to Sligo county gaa ground so when a game is on, carpark is rammed as we found when we arrived and couldn't get a spot. leisure facilities looked very nice and had planned to avail of them before we left next day, but our room(242) had a window with two broken latches so the room had a draft coming in and we woke up abit bunged up and skipped the pool. All in all I would stay in this hotel again. We stayed on the weekend of 16th February 2014, as a family of 2 adults, and 3 children. Check-in reasonably smooth, had difficulty in locating booking but found it in about 5 minutes. Went to our room and noticed we had quite a walk, and once we entered the "zone" where our room was located, it was freezing (no heating on). Our room was the same - cold - no heating on (we checked in at 4pm). Once drawn to their attention, reception / porters deposited an extra heater in our room and turned on the heating in the "zone" we were in, except on our first night with the room being so cold, it did not heat up (heating knocked off at 10pm). The next day, on the way to breakfast, noticed a difference in standard of rooms - not being complainers unless really pushed we let it go as kids wanted to check out the swimming which was really enjoyed by everyone. We decided to eat in the hotel and the food was lovely and hospitality really friendly, especially for children. Would probably return to this hotel, however, next time, make sure the heating is on!! We did draw this to the receptionist attention upon checking out about the difference in room standard, but was responded with a "oh really? ", no apology. I give this hotel, based on our stay, 3 star, based on the following - good leisure facilities, good food (and drink) and friendly staff. 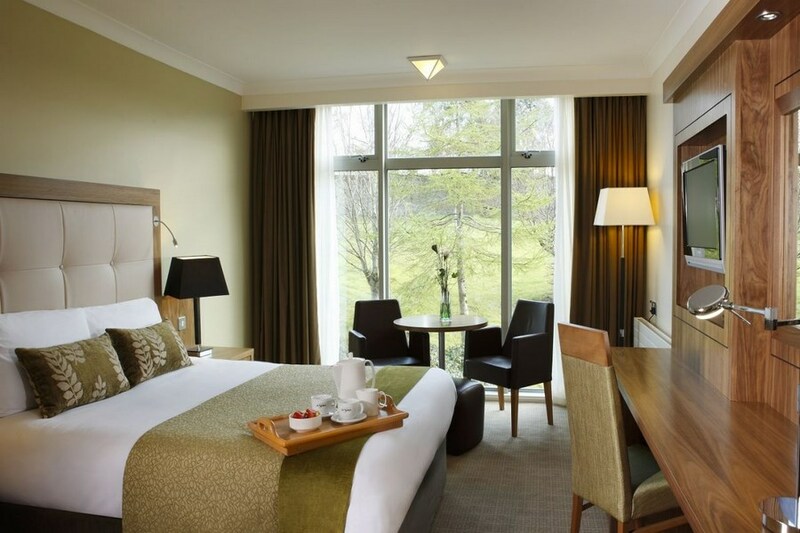 Sligo Park Hotel is a nice,clean Hotel on the outskirts of Sligo . The staff were friendly and the food was nice. pleasant stay although short. room was lovely and dining facilities satisfactory. would consider a longer stay. Yes this is my third time to stay the Sligo Park and I was very satisfied with the staff and hospitality. The rooms are very nice and very comfortable. My children were allowed to stay in the swimming pool for a significant length of time which was great. I would definately be back to stay in the hotel again. Average hotel, rooms on web different to what you get when you check in, however staff had no problem switching us to nicer room. Reception area very old style and grubby. Breakfast 3 star. Got very over cooked (burnt) omelette. Staff very helpful, good tour guide available (when you ask). Good base for touring. Room was a great aize for a family. Breakfast was great. Did not use any other facilities but would definitely stay here again! Clean and contemporary - staff very friendly and informative with information about the area. Swimming pool and changing area very clean. Very limited food menu - but food was nice - not enough choice for childrens menu. Very friendly and efficient staff in all areas. Lovely spotless room. Good breakfast. Pleasant 20 minute walk into town. Will be staying in Sligo Park again on our next visit. We had a lovely weekend at hotel, staff rooms and breakfast were all very good. we would recommend this hotel to stay in, there is a great buzz around the place. we would come back to stay . ii was very happy with our stay in sligo parke hotel, would definately recomend it. Lovely hotel with lovely staff. The breakfast was nice. The gym is quite small as are the dressing rooms. The pool, jacuzzi, sauna and steam room are very nice. Overall I would recommend this hotel. One addition for the hotel is there is very little storage space. I stayed 5 nights and myself and my partner could not find room to unpack. Stayed in Sligo Park Hotel on fri 28/12/2012 to 30/12/2012. Excellent value for money we were a group of 4 couples. Rooms very good and Breakfast Excellent selection. Staff on reception very friendly, efficent and professional. We will definitely return. Lovely Family Hotel, Staff very friendly.. Breakfast Buffet very good, Be great if there was something for older children form 12 years up, maybe movies or use of gym. 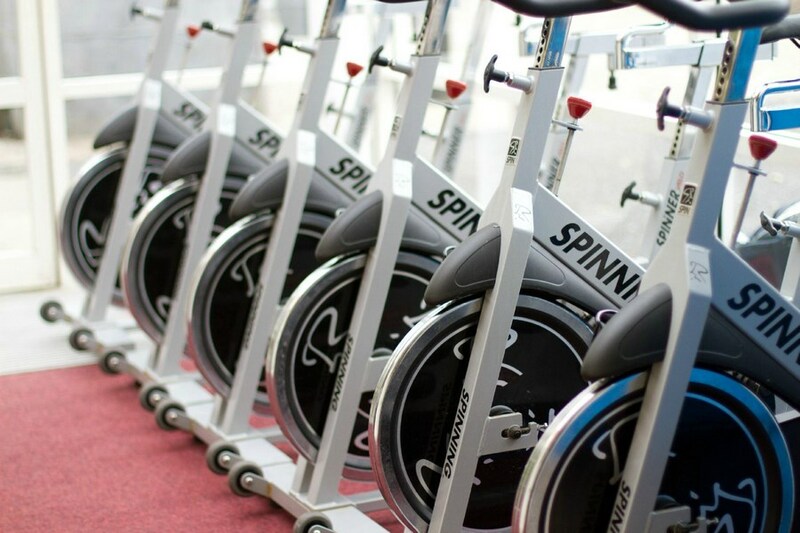 Have couple hours club to suit the older age group. Enjoyed the stay.. I would rate this hotel 10/10 we really enjoyed our stay, food and room was beautiful and the staff were very friendly. I will definitly be returning it was a lovely weekend to spend our anniversary. We stayed 2 nights, hotel was good a little dated but clean. We were asked to move on 2nd day to a nicer room the hotel had an issue with hot water in this part of the complexl.There are better rooms on the 3rd floor, bar was fine and the pool too. Staff were helpfull and the breakfast was really good. The town centre is a 20 minute walk. We had a lovely time staff were friendly and helpfull. We would go again. Marie Sweeney - 09th April, 2012. I can only speak highly of our stay in the Sligo Park. Friendly staff on arrival, beautiful clean room with all facilities. Breakfast and Dinner was absolutely devine. I would definetely recommend it and we will be back again shortly.